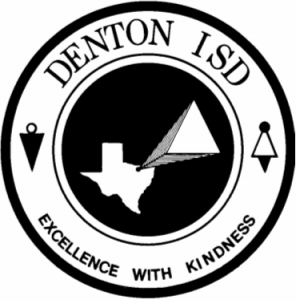 The Denton Independent School District is based in Denton, Texas, but also encompasses all or parts of Bartonville, Copper Canyon, Corinth, Cross Roads, Double Oak, Lincoln Park, Oak Point, and Shady Shores. The district consists of three high schools, six middle schools, 21 elementary schools, and two alternative schools. Founded in 1882, and located 25 miles north of Dallas and Fort Worth, it encompasses 180 square miles. The school district is closely involved with the community, as the community demands excellence in its educational programs. It’s a community where citizens are highly engaged in education, with two major universities and a community college within its boundaries. Having the three institutions of higher learning within the district sets a professional learning environment and encourages students’ meet high expectations. For example, University of North Texas has one of the best music programs in the nation, and this district is one of 10 percent of school districts nationwide that offers orchestra at their elementary schools. The TEA has rated the district Academically Acceptable. Billy Ryan High School (grades 9 -12): Established in 1996, Ryan High School calls itself “Home of the Champions”, having claimed numerous state championships and recognitions in academics, fine arts, and athletics. Accordingly, the school is know for having extraordinary school pride among it’s staff, faculty, alumni, fans and of course students. The school is rated Academically Acceptable by the TEA, and their academic UIL team won the district title numerous times, finished as the national runner up in 2012. Ryan High’s athletics program boasts 20 years of excellence, having claimed two football state championships, a boy’s basketball state championship, a state final appearance in baseball, girls and boys soccer championships, and victories in softball, swimming and track and field. Guyer High School (grades 9-12): Founded in 2005, Guyer became the third high school in Denton ISD. 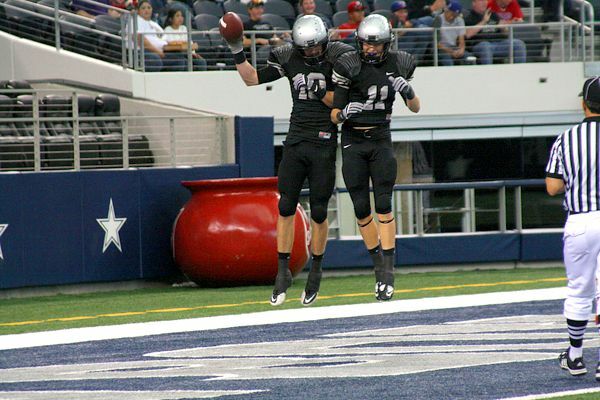 In its short existence, Guyer has already developed a reputation for developing hard working students that routinely perform well in academics, athletics, and fine arts. Students have the opportunity to take Advanced Placement, Pre-Ap, and dual-credit classes. Students can participate in extracurricular activities like band, choir, art, and FFA. Their athletic teams are also developing a reputation for being competitive. In just seven years, their football team has reached three state semifinals and played for a state championship. Other sports like volleyball, softball, baseball, swimming, track and soccer have earned state or district recognition as well. Denton High School (Grades 9-12): Established in 1884, Denton High was one of the first free public school buildings in Denton County. The current campus opened its doors in 1959 and is frequently undergoing additions and renovations to keep it up to date. Denton high is committed to giving its students the most well rounded education possible, offering the International Baccalaureate programme, a highly acclaimed curriculum, which encourages and influences students to approach education through a global scope. Denton High gives its students the opportunity to graduate with an IB diploma and gain up to 24 credit hours for University. Students have the choice to join various clubs and activities such as band, choir, art, and ROTC, as well as many others. Their athletics team boasts being one of the top programs in the state with the boy’s basketball team named one of the top 10 all-time programs by TexPreps Basketball. Their girl’s soccer team earned two state championships and their baseball, volleyball, and girls track teams enjoyed recent playoff appearances. Fred Moore High School (grades 9-12): Fred Moore High School is a school of choice offering a self-paced curriculum for students. Students can choose to attend Fred Moore if they need more flexibility than is typically offered in a more traditional school setting. They strive to teach students to become motivated and move beyond his/her current situation and focus on preparing for life post high school. If you’d like more information on the 21 elementary schools in Denton ISD, we suggest you visit their website.